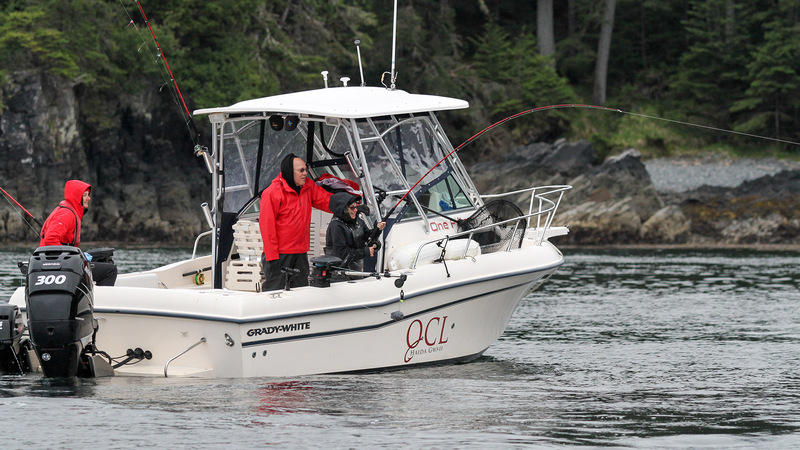 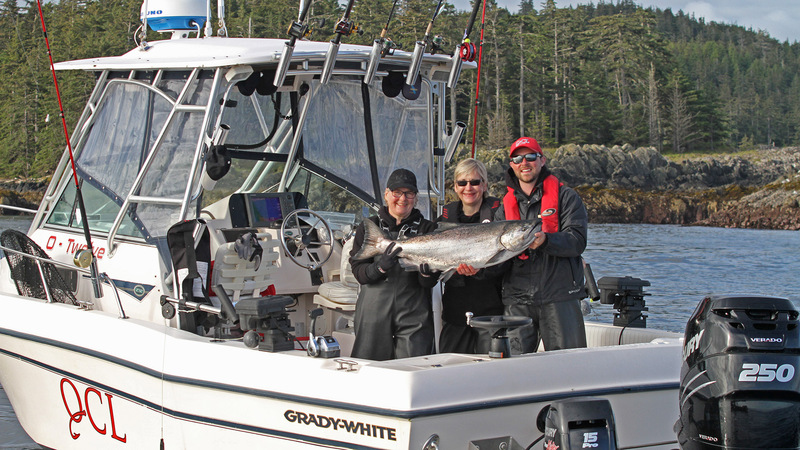 Queen Charlotte Lodge offers our guided fishing experience to those guests that want to kick back and enjoy the comfort and success our guides provide. 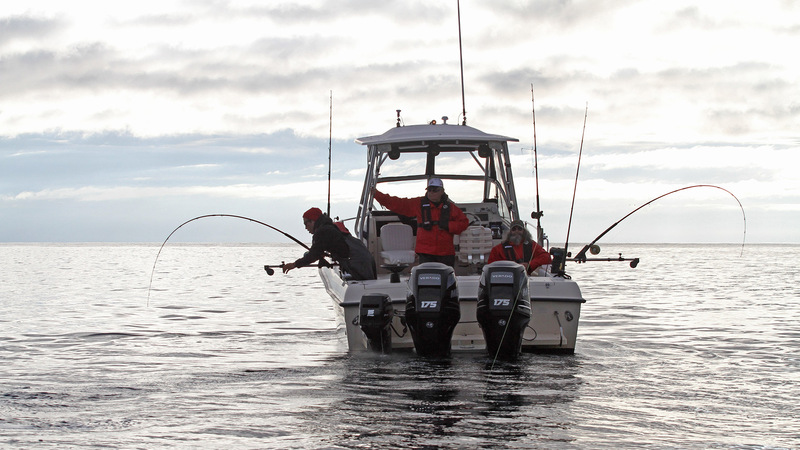 A guided fishing experience means that you won’t be out on the water alone. 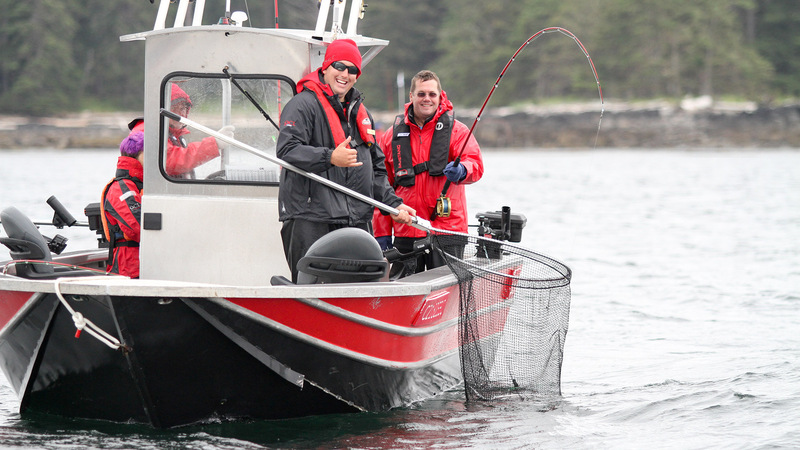 Guided tours are perfect for beginners or those looking to pick up a few extra skills from the pros. 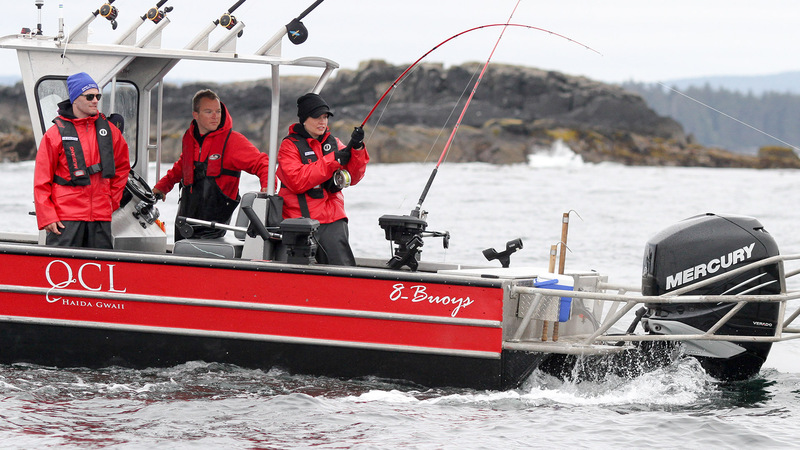 Our guided fishing experience means that you will have professional with you at all times. 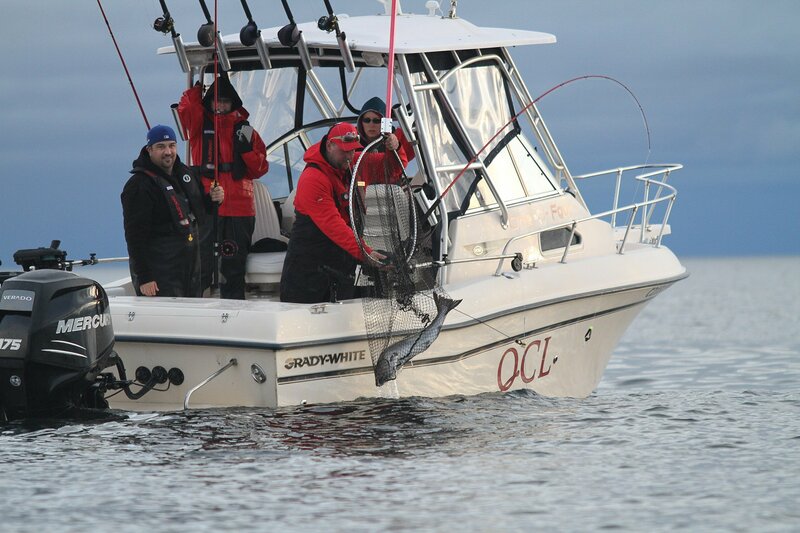 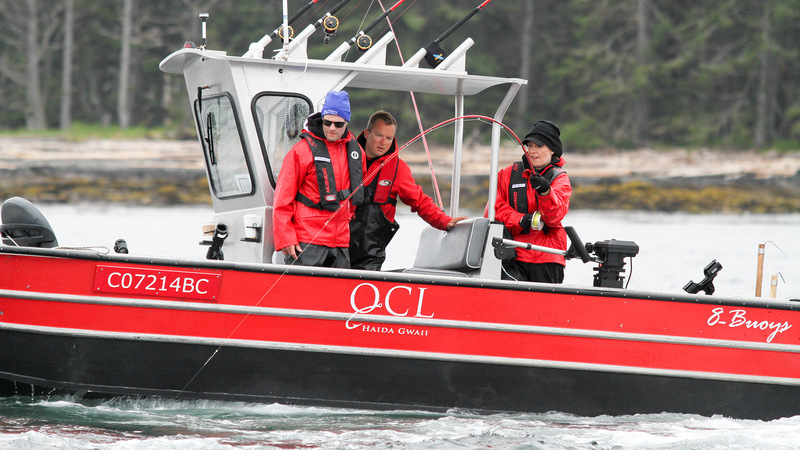 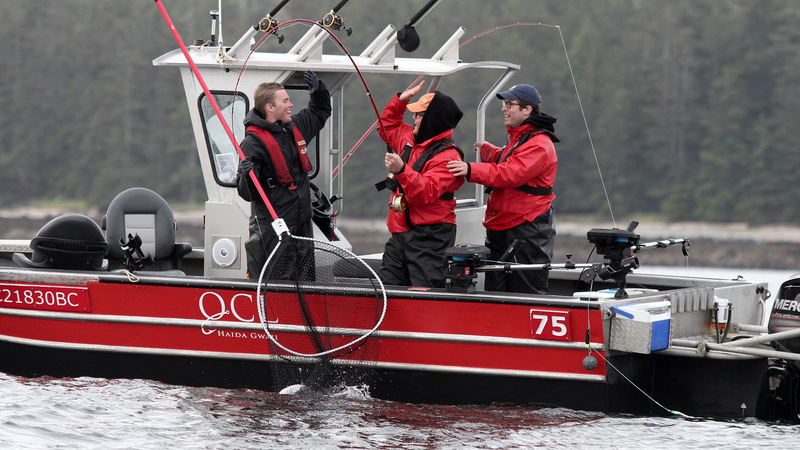 Carefully selected and trained, our professional fishing guides are fully certified in boat operation and safety. 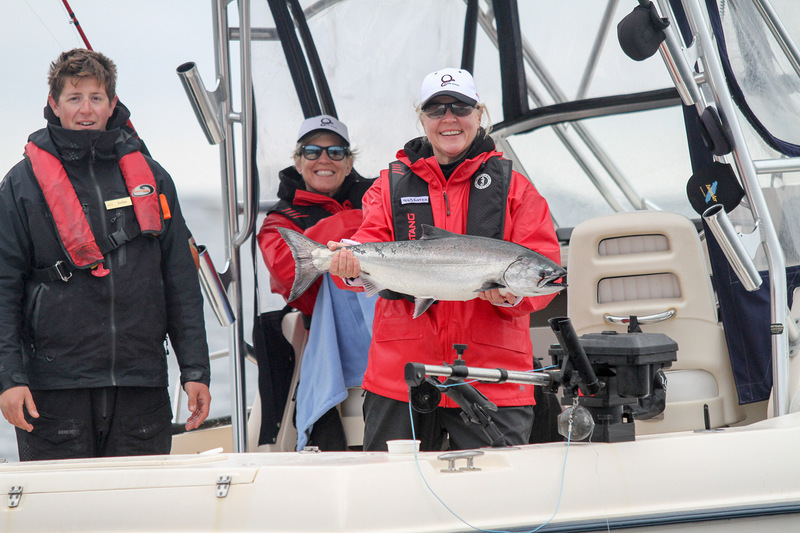 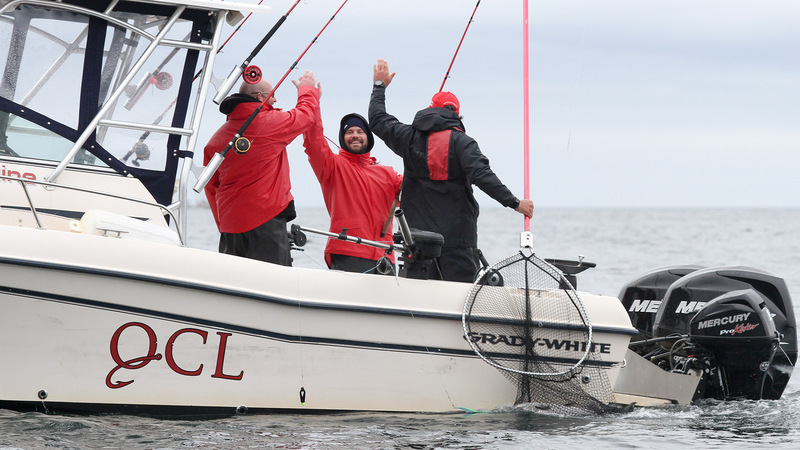 The phenomenal growth of our Guided Program in recent years is a testament to the high standard of client care and satisfaction that our guides provide on the water. 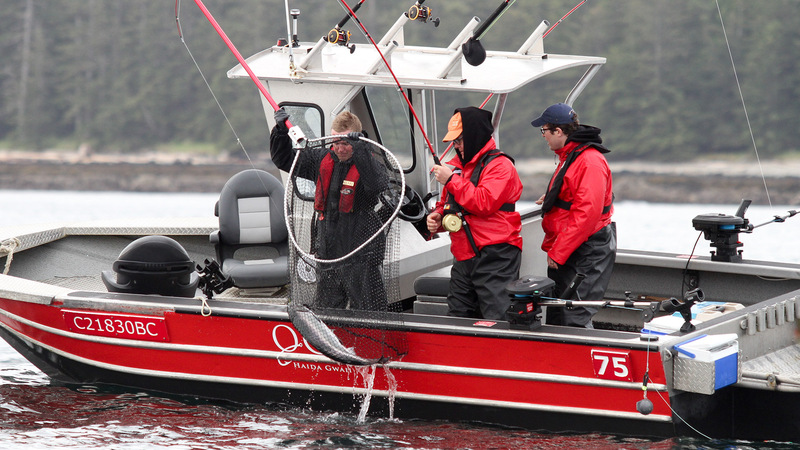 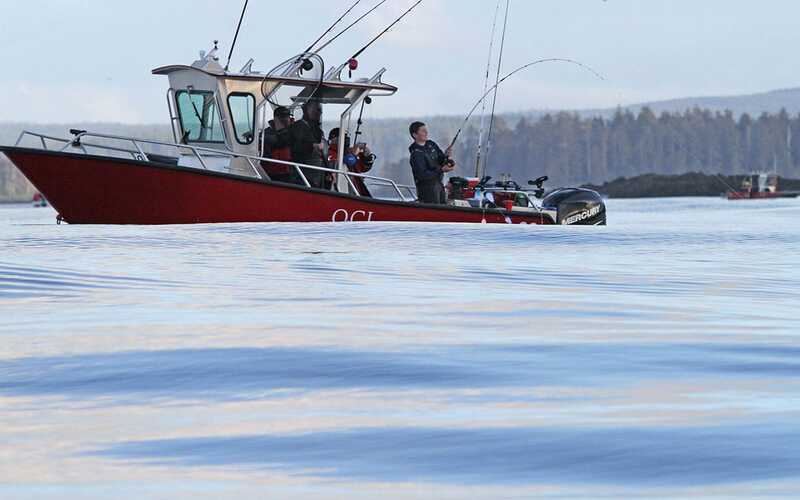 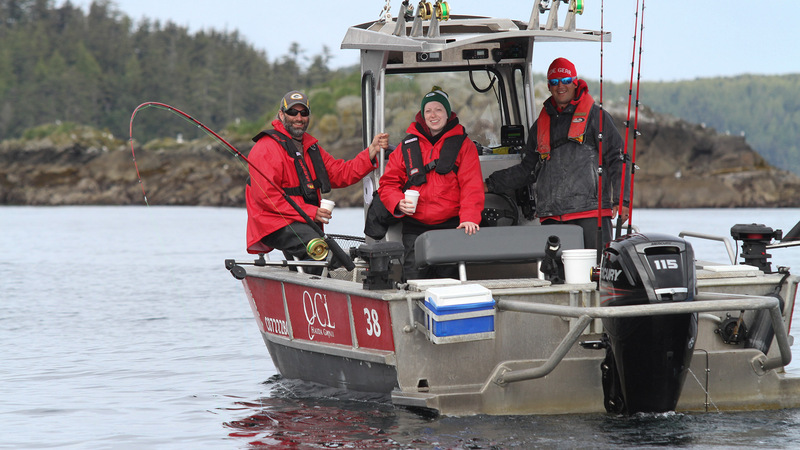 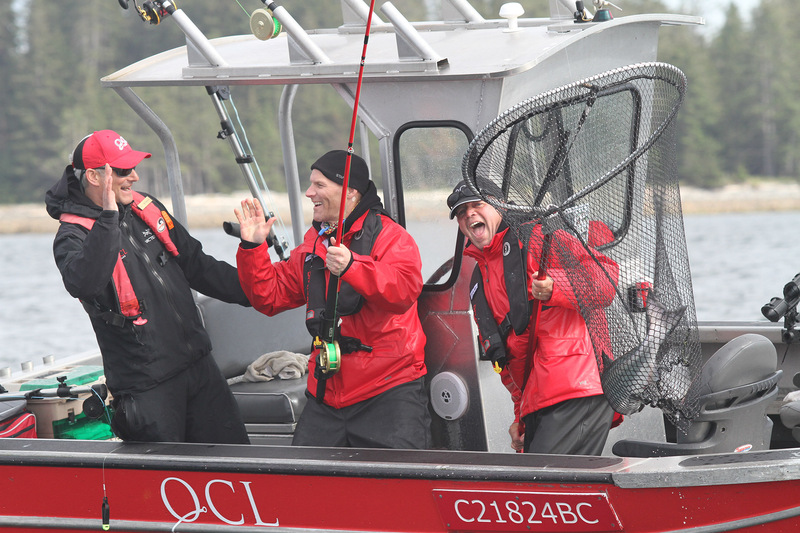 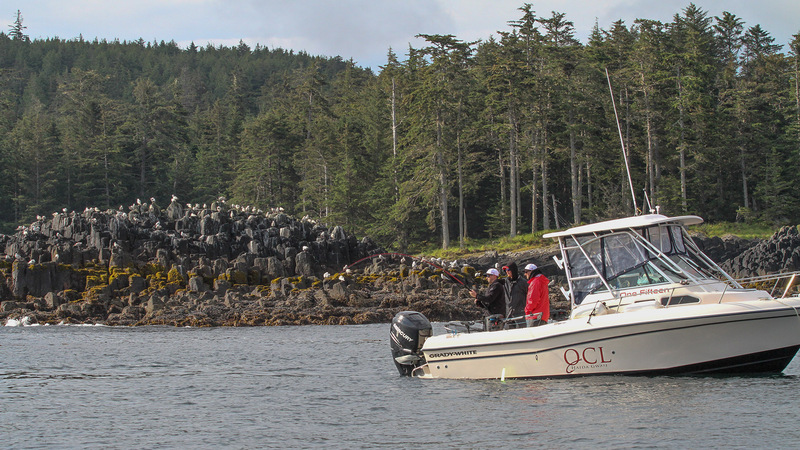 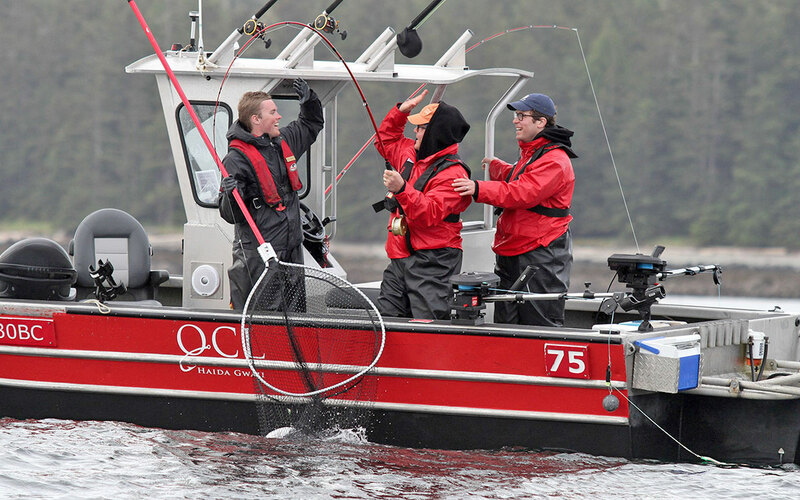 Fishing guides at Queen Charlotte Lodge work on a flexible schedule, maximizing your fishing opportunities around the tides, the daylight, or simply whenever you feel like starting your day. 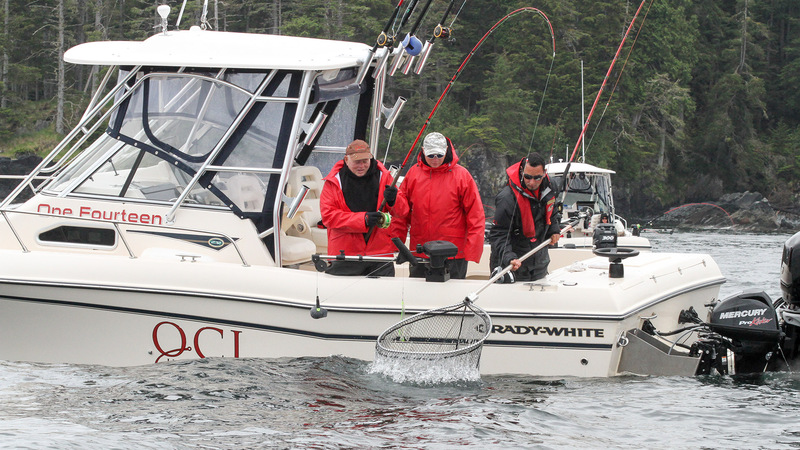 Eleven hour days on the water are the norm, however, you and your guide can work out your daily schedule. 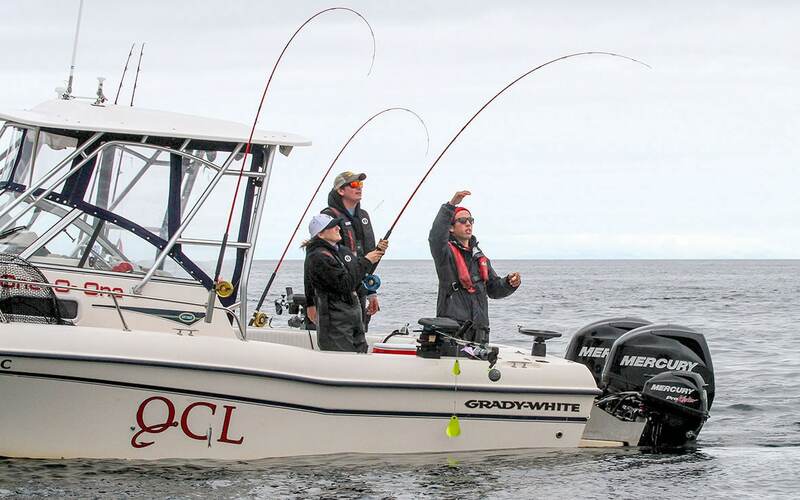 You never need to worry about getting the amount of time on the water that you are looking for. 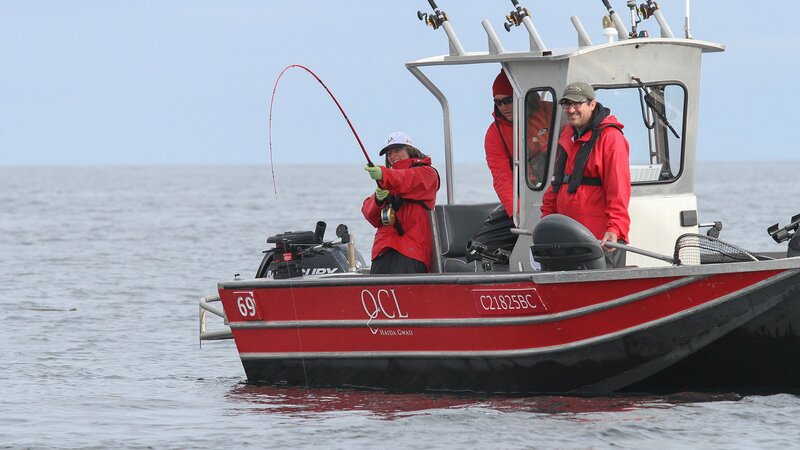 Your guided fishing experience is complete with the finest equipment and fishing gear provided as part of the package. 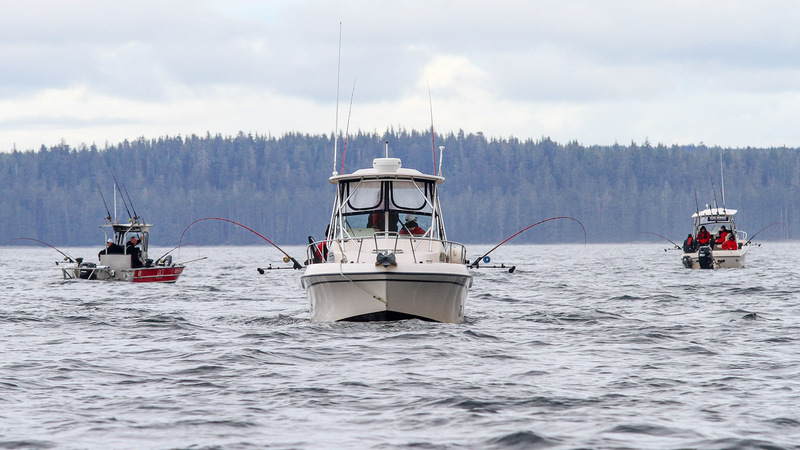 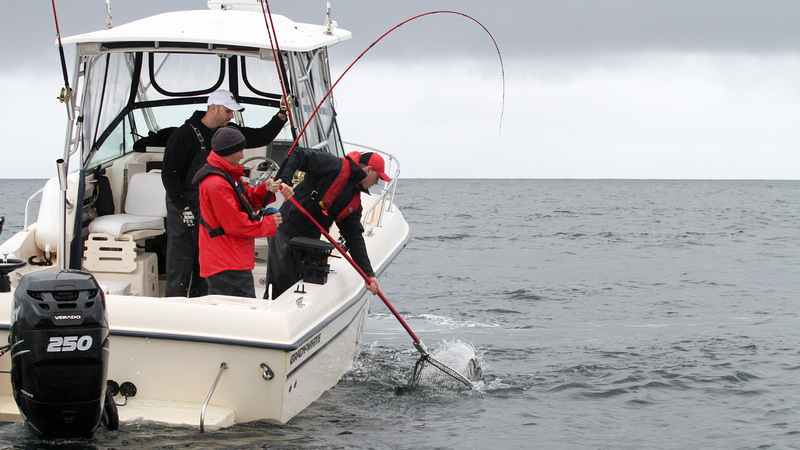 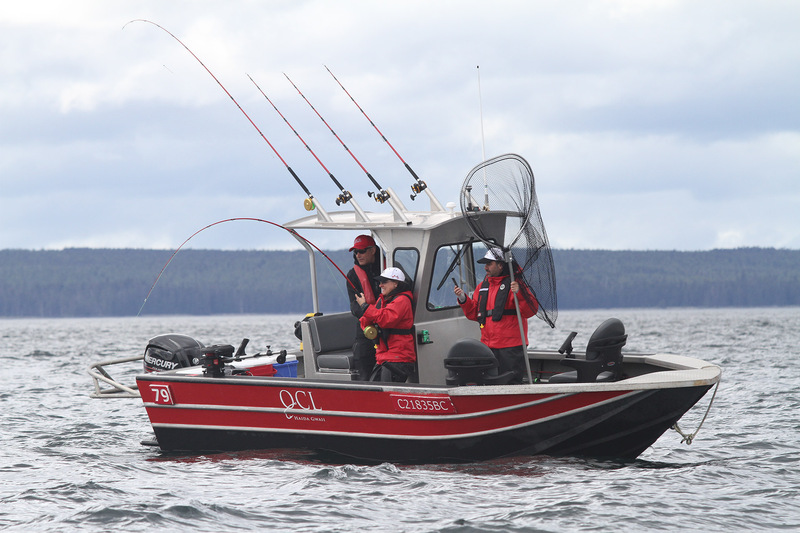 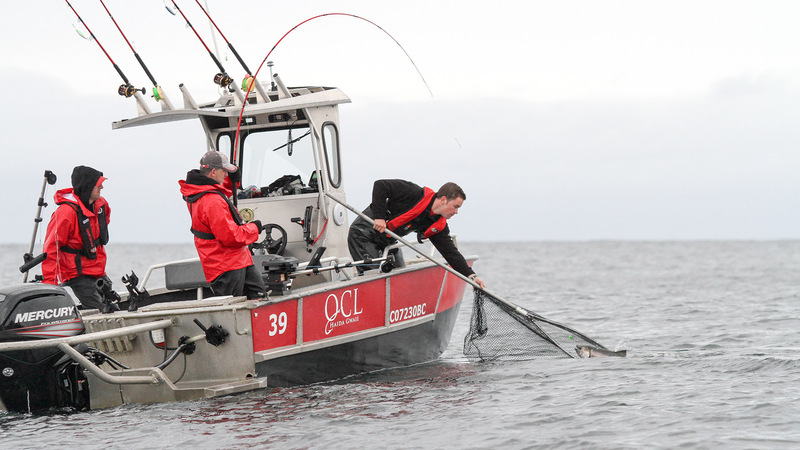 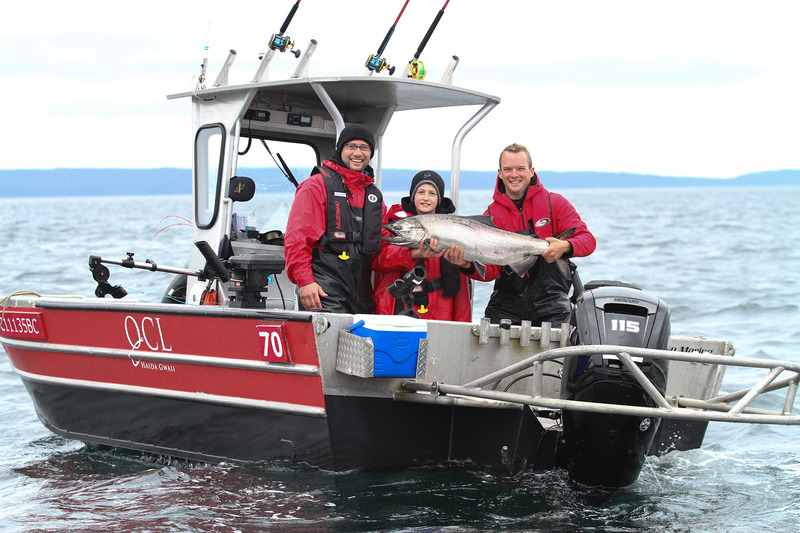 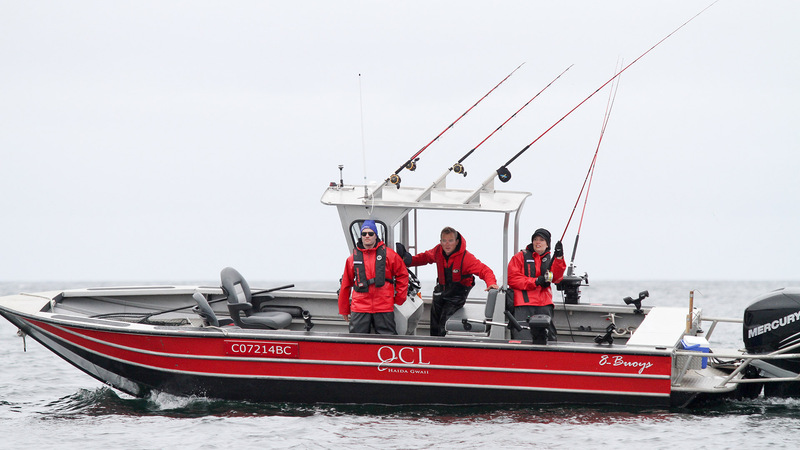 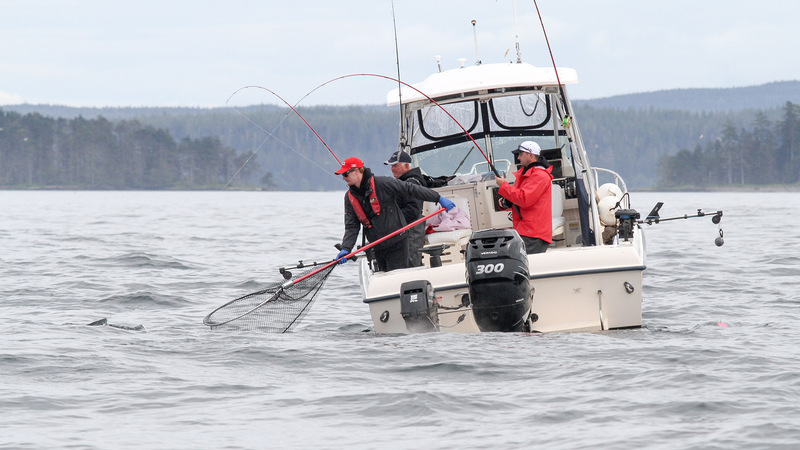 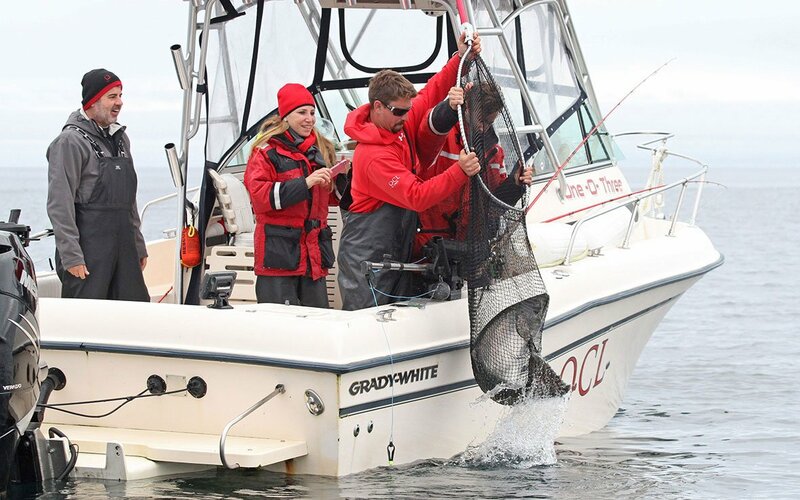 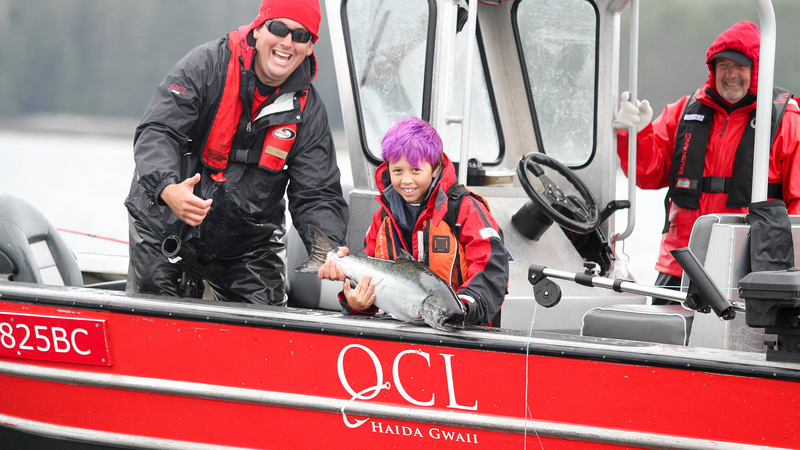 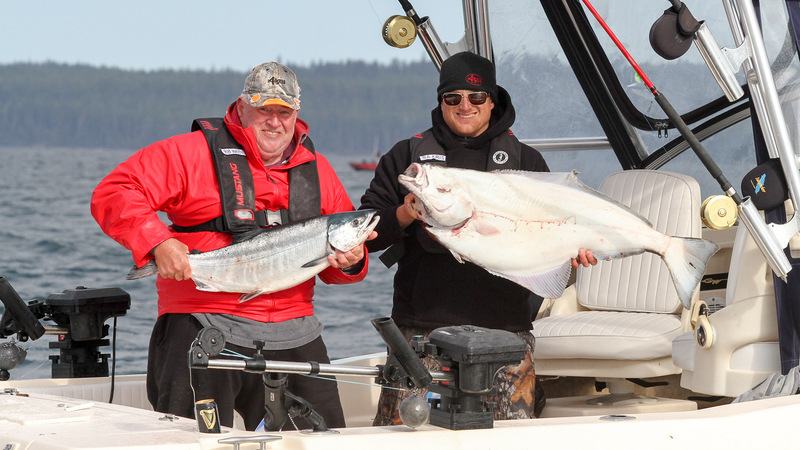 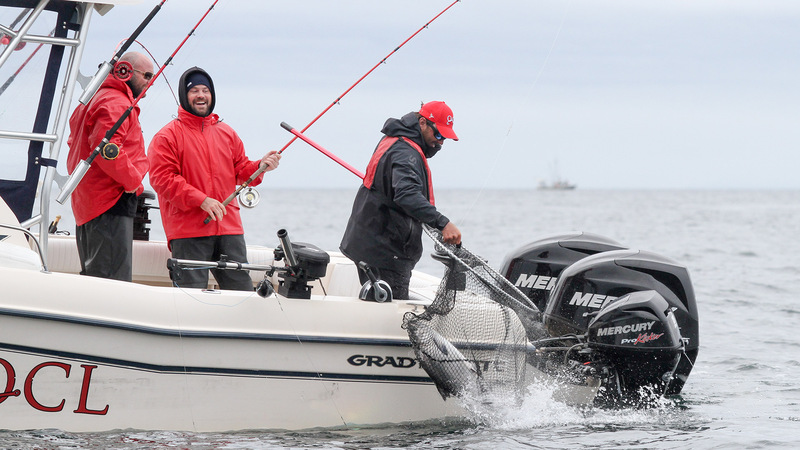 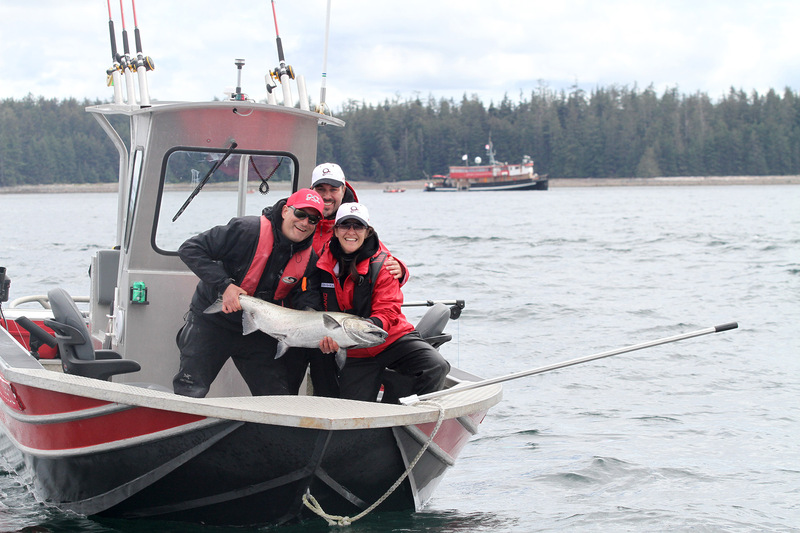 Up to date GPS units help your guide “home” in on the big fish – salmon or halibut. 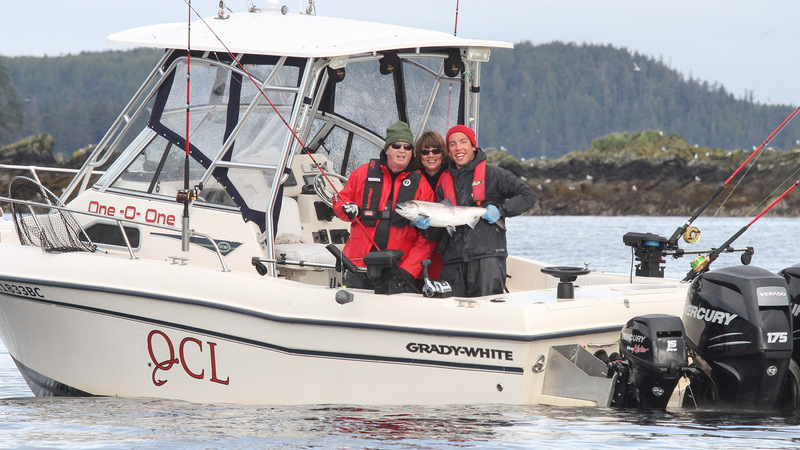 Your guide will professionally care for your fish and its preparation. 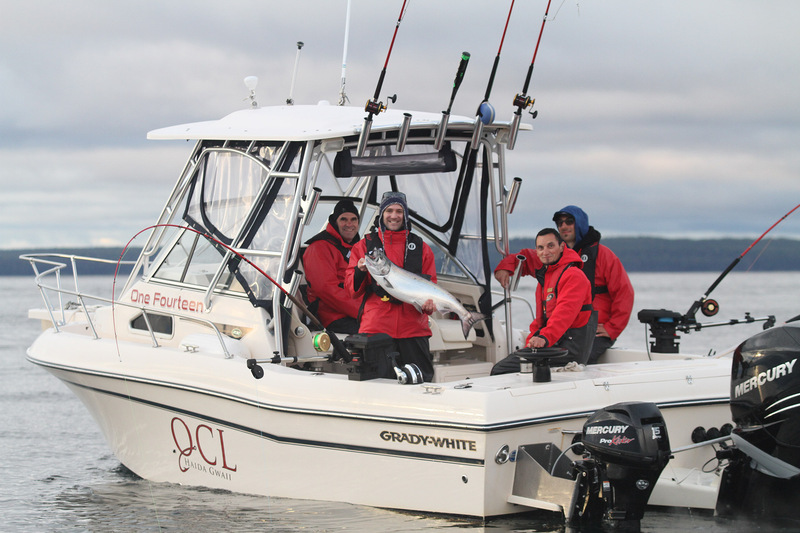 Taking some fish to enjoy at home is part of the thrill and at QCL we offer many great options for processing and packaging. 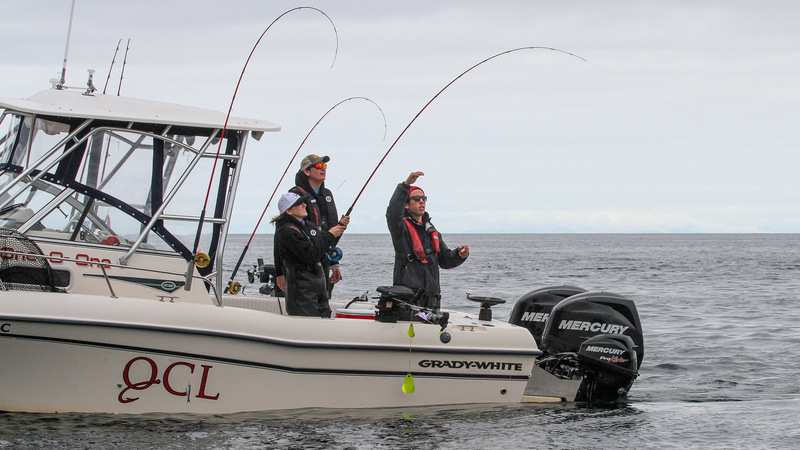 Your guide can explain the choices and see that you get exactly what you want. 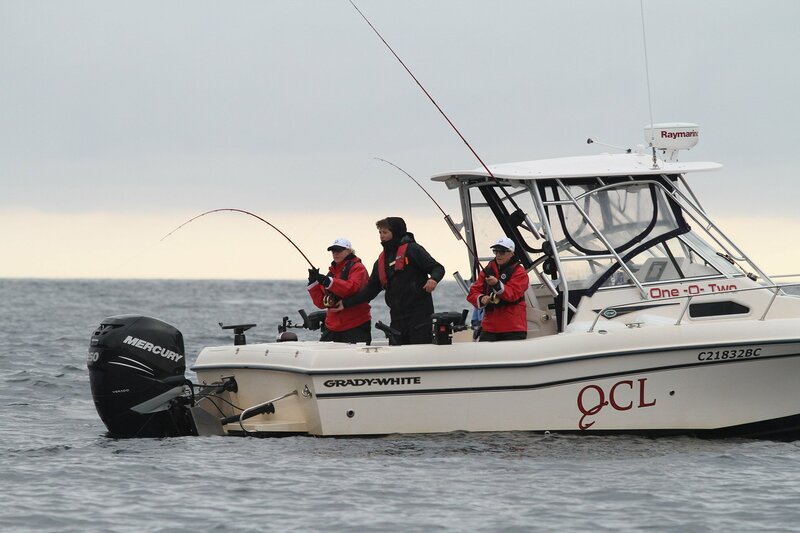 My wife and I totally love it and the staff at QCL. 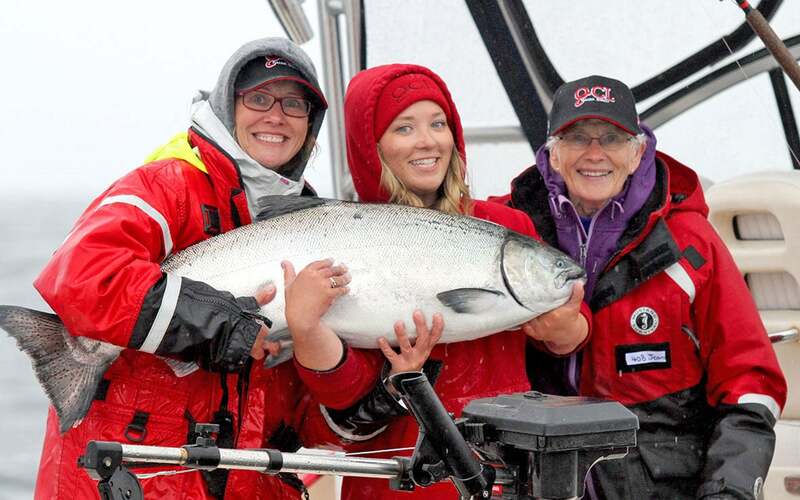 This year Tegan was our guide and I would highly recommend fishing with him if you are going to be guided. 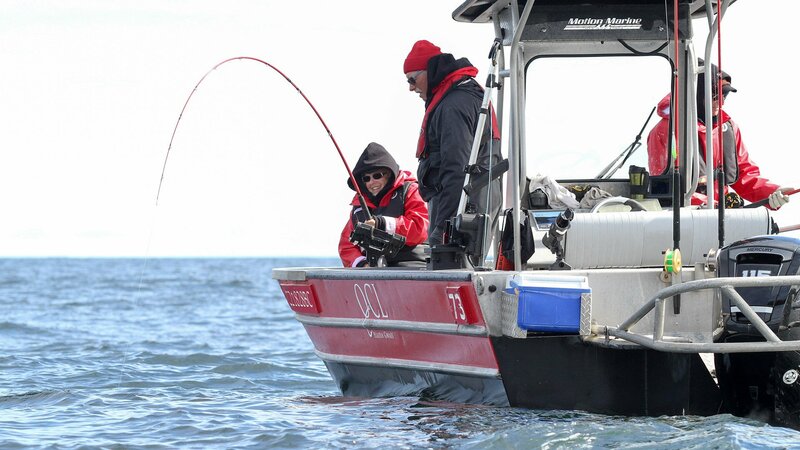 He knows how to fish. 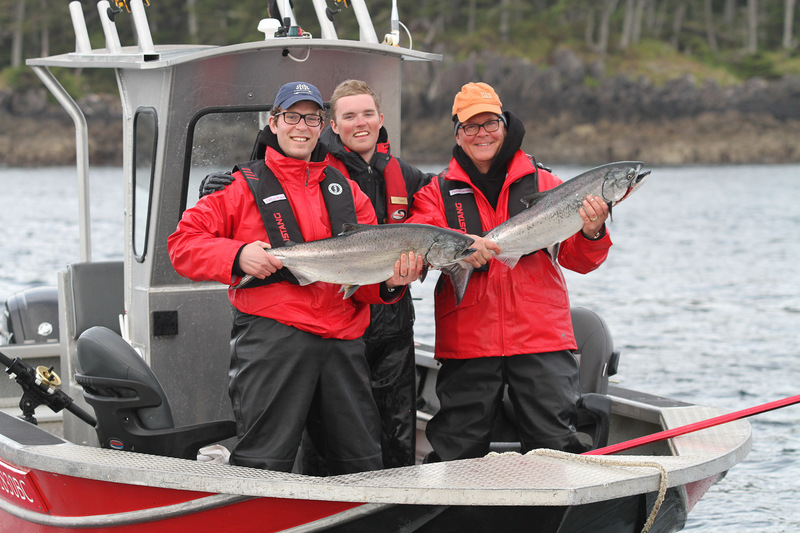 Equally as enjoyable and knowledgeable is Torsten who we went out with last year. 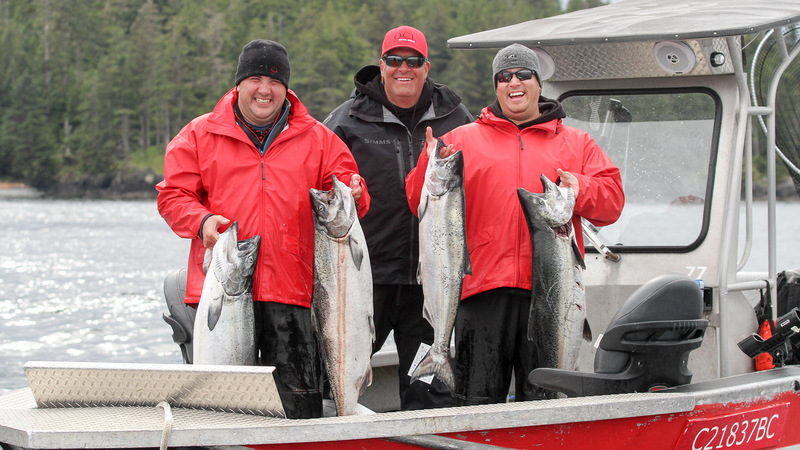 I’m sure the other guides are just a good, but both these young fellas know their stuff and are fun to be with. 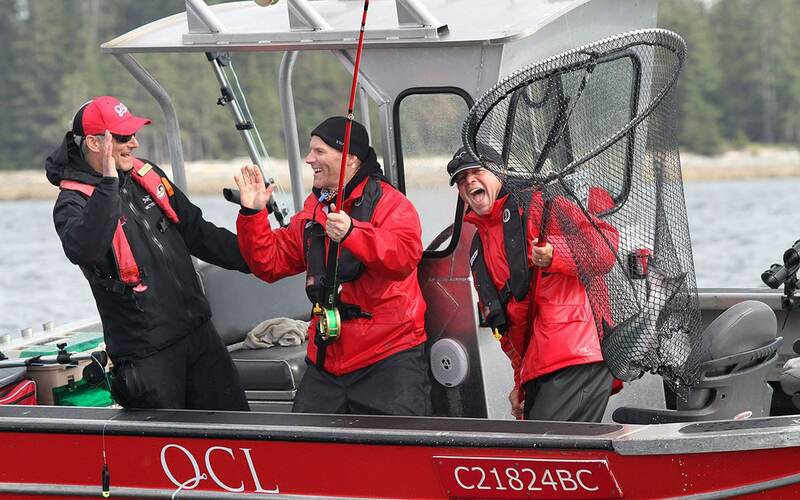 We hope to make this an annual event and highly recommend anyone looking for a wonderful life experience will find it at the Queen Charlotte Lodge.